When shopping for a used vehicle, wouldn’t it be nice if you could tell which ones were safe, reliable, and in excellent working order? 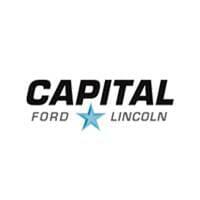 Well, at Capital Ford Lincoln, you can, thanks to the Shining Star Certification Program. Before it makes it to the lot, or the website inventory, each Shining Star vehicle undergoes a rigorous mechanical inspection. We cover more than 100 critical points, screening for faults and excessive wear. From the front bumper to the rear exhaust, you can rest assured that your Shining Star vehicle is safe and mechanically sound. We won’t certify a vehicle that doesn’t pass our inspection. And you don’t have to worry about troublesome accident histories – we give you the official report upfront. 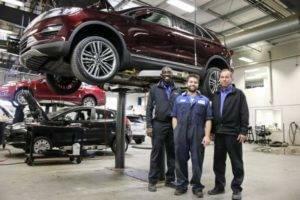 Because we inspect each Shining Star vehicle so carefully, we stand by their quality. That’s why Shining Star customers get an exclusive seven-day exchange privilege. If you don’t love your vehicle in the first week, or you encounter some issues, we’ll let you exchange it easily. Plus, each one comes with a 30-day warranty, a benefit that’s mostly unheard of with late model year used vehicles. Despite the considerable advantages of the Shining Star Certification Program, our prices are always far below the market average. It’s not in our best interest to keep Shining Star vehicles in our inventory for a long time, so they’re always priced to go. We also offer a variety of Captial Choice Vehicles that reliable and priced to sell. Why Should You Buy a Shining Star Vehicle? Browse our inventory by hitting the link below and keep an eye out for the Shining Star logo.